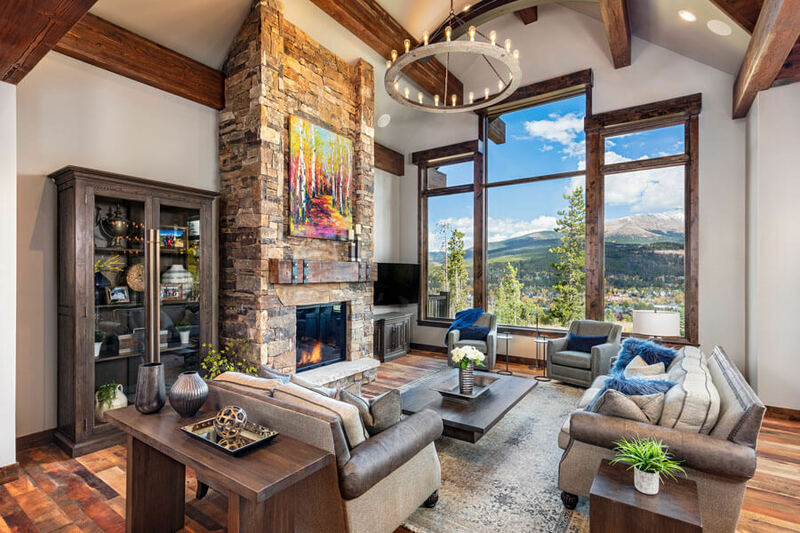 This home boasts mountain views framed by gorgeous timber architecture and is centrally located to the slopes and downtown Breckenridge. 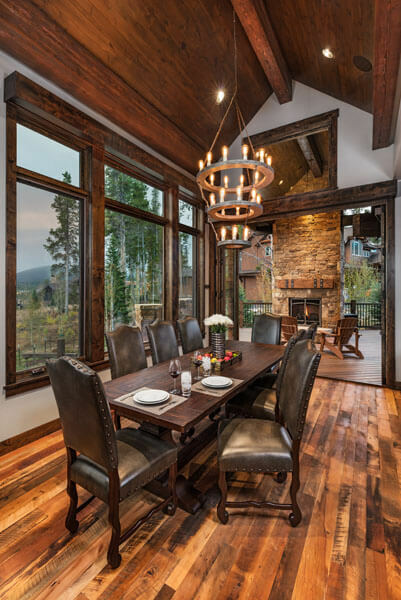 The homeowner incorporated a lot of windows, they call the “wall of glass” stretching from the dining room to living room and bedrooms – creating unobstructed views throughout the home. 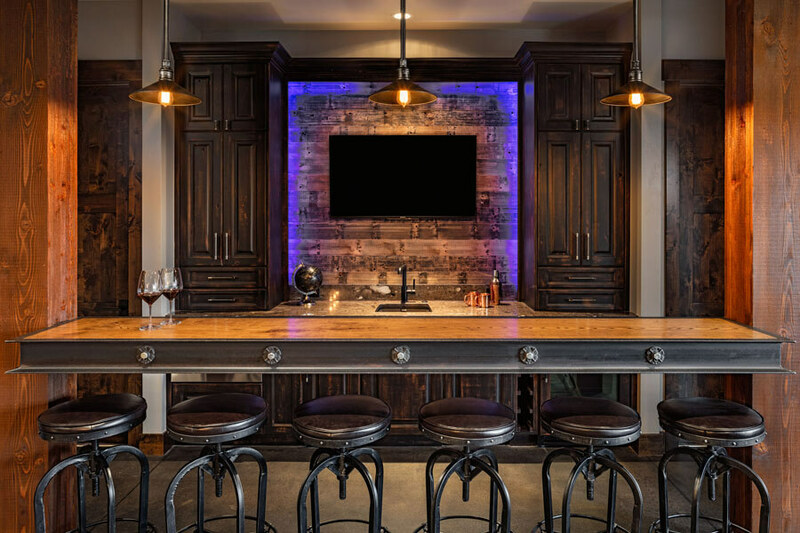 Reclaimed wood walls. 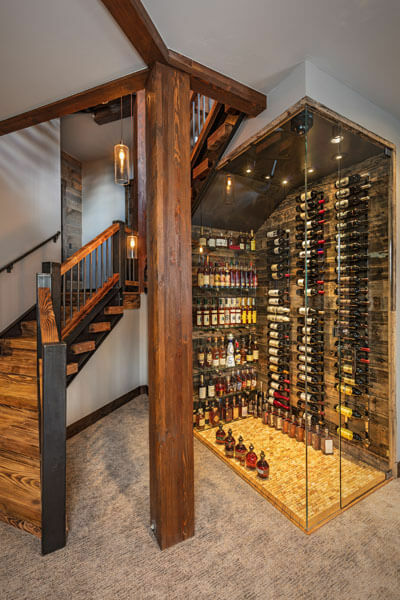 Wine cellar cork floor showcasing over 1,000 hand-selected wine corks. Waxed-steel arches throughout the house. 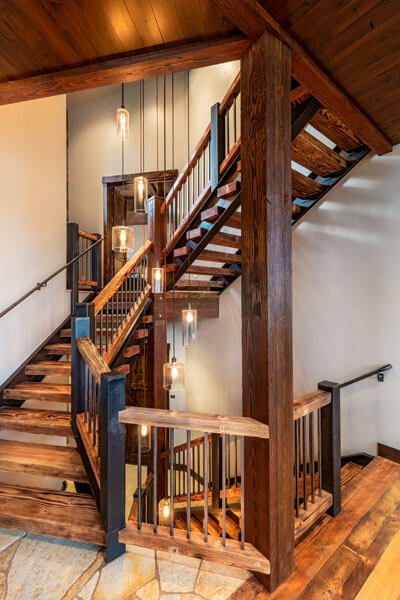 Reclaimed-warehouse-wood floors. Jacket-board accent walls. 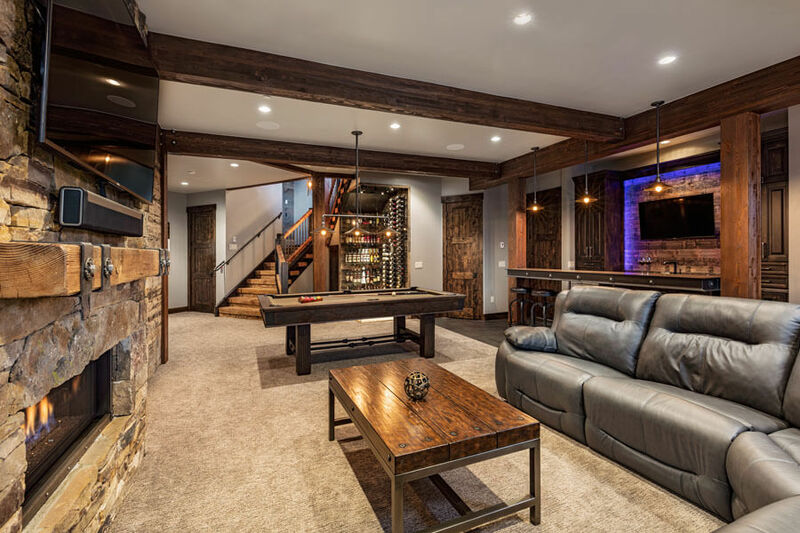 Reclaimed-truck-board walls in the basement (one of a kind).